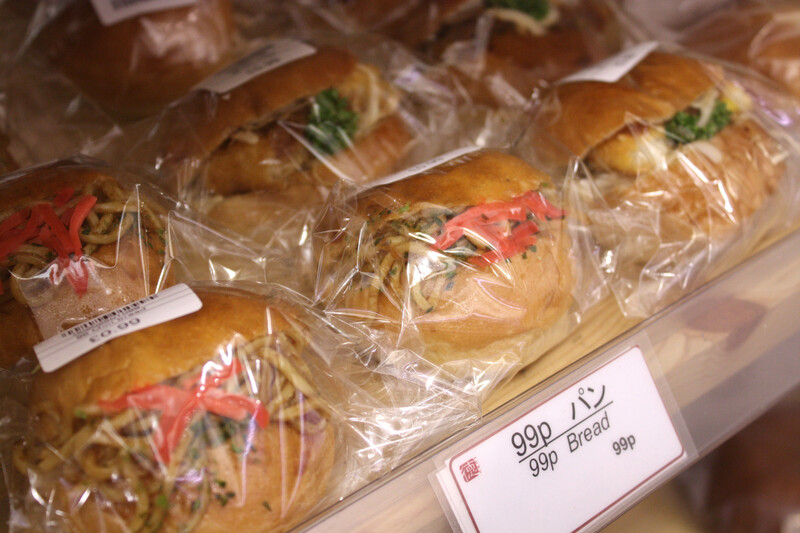 Many of you out there might know about Japan Centre’s wide range of sushi, but maybe not about our Japanese style bakery. At 6.30 every morning our staff start to bake a unique selection of breads that would never be seen in a British bakery. 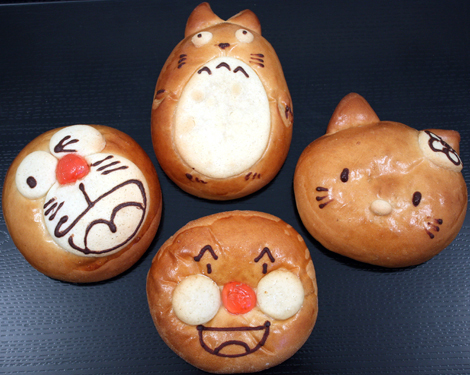 As in the picture above, some of our breads shaped in characters that you may recognise – Totoro, Hello Kitty, An-Pan Man and Doraemon – each with chocolate, custard or red bean filling. They almost look too good to eat! Have you ever tried noodles in bread? It may sound strange, but the Japanese have been eating Yakisoba Pan (Fried noodles bread) for years. Available in large and small sizes, starting from 99p there is no excuse not to try it. With new flavours being conceived all the time, the Bakery’s range of breads just keeps getting bigger. 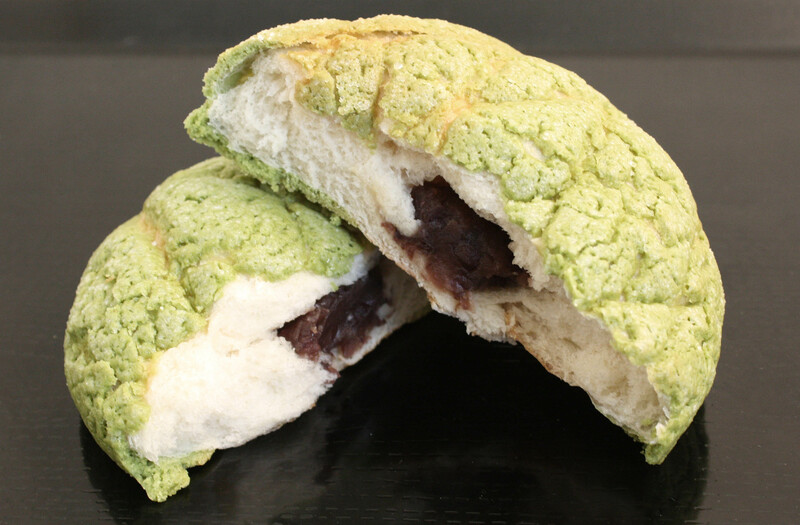 Our newest recruit is Matcha Melon Pan (or Green tea and melon flavoured bread) – the contrast of the slightly bitter green tea coating, sweet melon bread and sweet bean filling definitely works. Believe me you’ll be hooked! Posted in Food and tagged japan centre bakery. Bookmark the permalink. I have tried the green tea melon pan and it was utterly delicious! Can’t wait until I’m in London again for more! Thank you for your comment! It’s a Japan Centre staff favourite too!